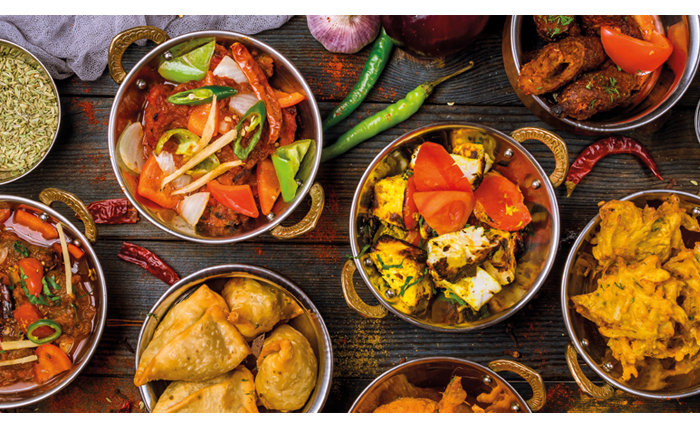 Situated high on the 15th floor of Duke Hotel, Dubai, Khyber is a multi-award winning restaurant that brings the culinary wealth of North India to Dubai. This is the first branch beyond the Mumbai flagship, and my they’ve picked the perfect spot. 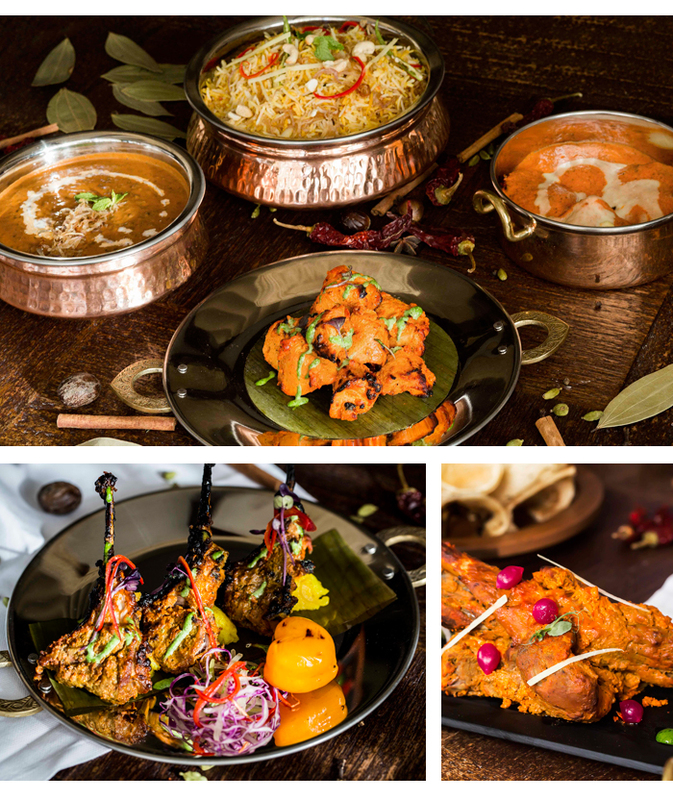 It may have only opened in September 2017, but in little over a year, it’s become one of the best places in the UAE to enjoy fine Indian dining. You can expect incredible views over Palm Jumeirah, Dubai Marina and the skyscrapers skyline as you gaze out from the huge windows – or go one better and nab a table on the outdoor terrace for 180° views of the desert metropolis. 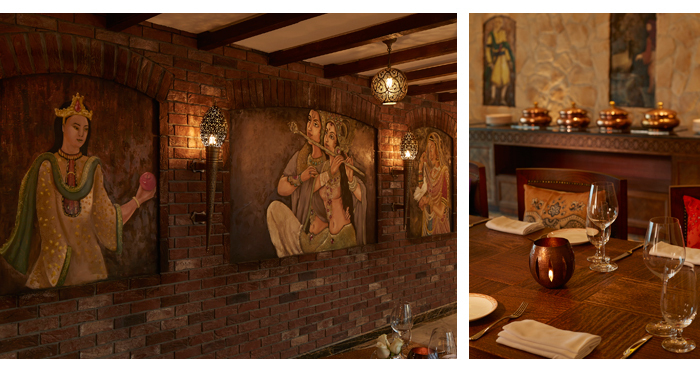 The menu is north Indian, so of course the interiors follow suit with a majestic Mughal aesthetic. Being shown to your table feels like wandering through an old Indian palace, passing by vintage murals, scalloped archways and yards upon yards of gleaming marble. There’s even a faint hint of sandalwood to complete the effect of thinking you’re on the other side of the Arabian Sea. It’s all very done and fabulously lavish, as honeymoon dinners should be. We began with Dal Shorba, before devouring individual platters of tandoor-roasted lamb chops, juicy grilled king prawns, Chicken Reshmi Kebab and chaat. This is quite a lot for just two, so downsize on the starters because you really want to save room for the mains. The signature Khyber Raan is hands-down amazing; a gorgeously spiced leg of lamb that’s been roasted so expertly that the meat just falls of the bone. The Butter Chicken was also beautiful and perfect to mop up with a fresh naan. If you have any room left for dessert, try Matka Kulfi, Mango Pudding and Gulab Jamun. They’re classics for a reason. Khyber has won fans from household names such as Sir Paul McCartney, Richard Gere and Demi Moore. 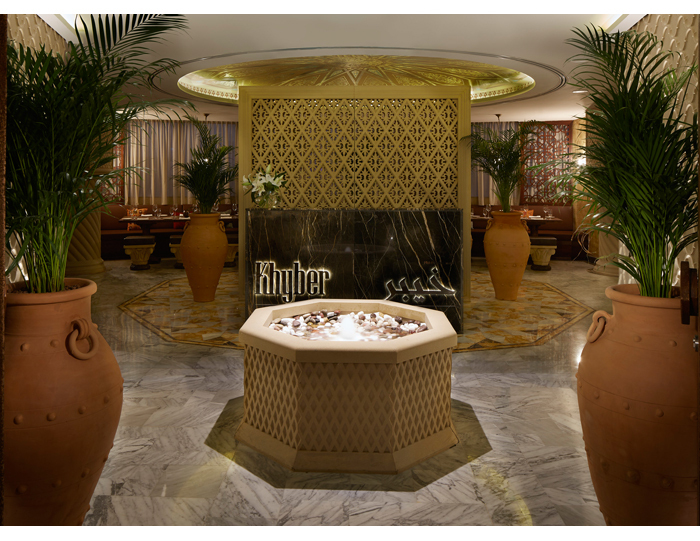 With superior views, beautiful décor and dishes that lives up to the Mumbai legend, Khyber should be a must-dine venue on your honeymoon hitlist while in Dubai. Time your booking for sunset for a breathtaking experience.